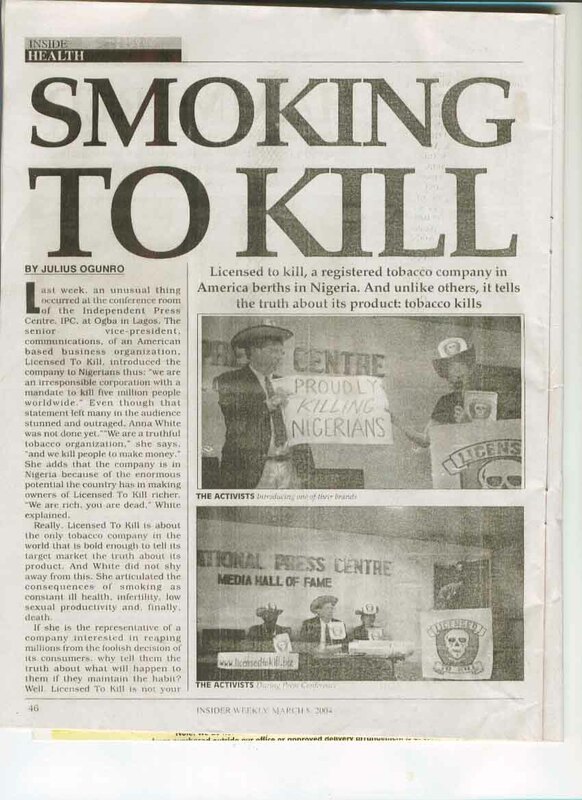 On February 20, 2004, Licensed to Kill, Inc held a well-attended press conference at the International Press Centre in Lagos, Nigeria to introduce Nigerian media to the newest multinational tobacco corporation to enter the Nigerian market. 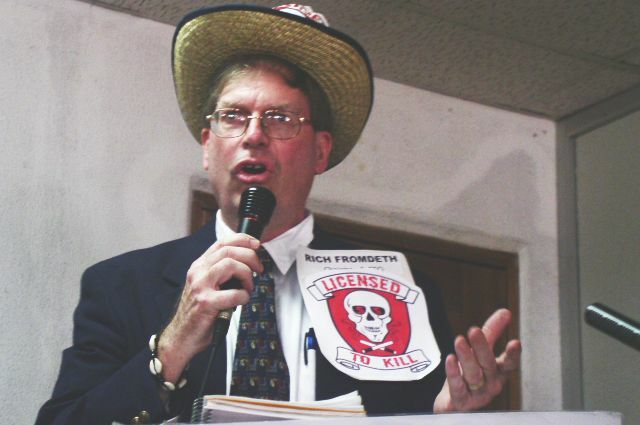 She then informed the journalists that it was a real honor to have Rich Fromdeth, the CEO and Chairman of the company himself, present at the press conference. 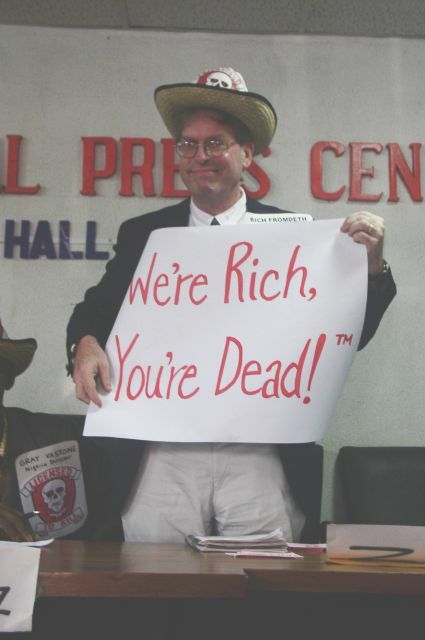 Soon after, Fromdeth rose to unveil the company's slogan "We're Rich, You're Dead!" to the gasps of many reporters. 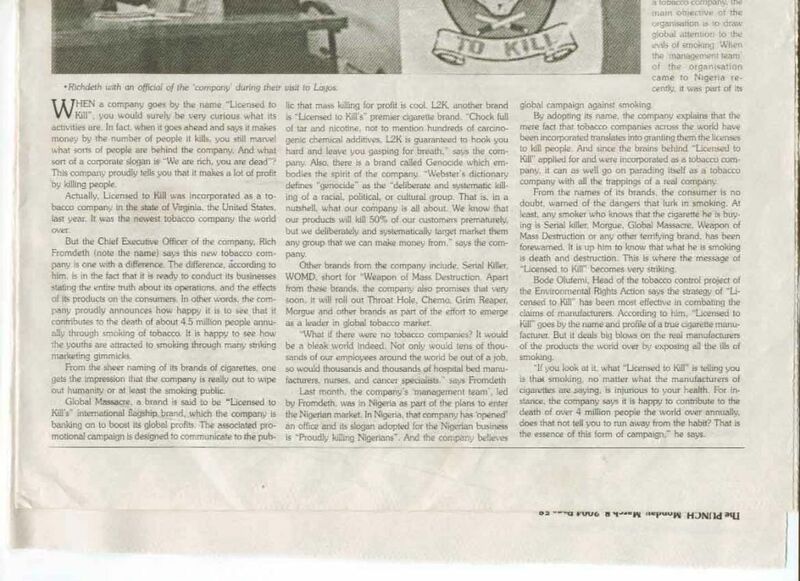 The Senior VP went on to address the reason for the company's visit to Nigeria. Nigeria is the most populous country in Africa, with well over 100 million people -- over half of which are under the age of 15. 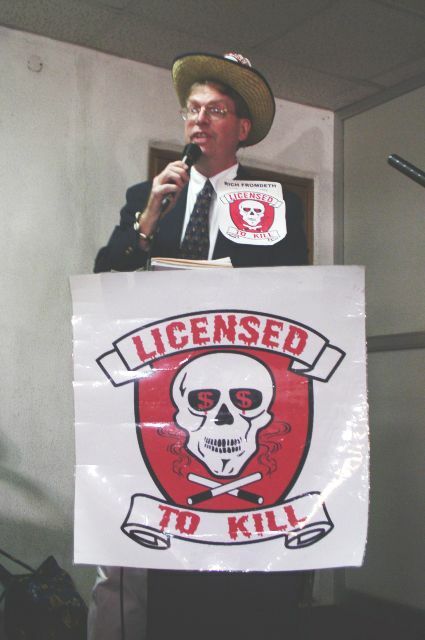 This large, very young, and rapidly growing population spells J-A-C-K-P-O-T for a company like Licensed to Kill! 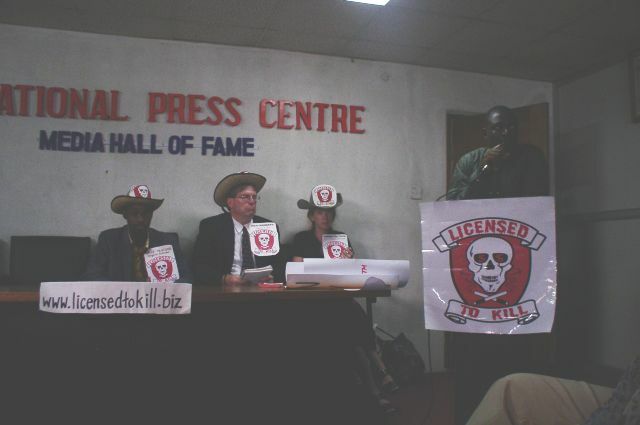 To facilitate its expansion into the very lucrative Nigerian market, Licensed to Kill has chosen to open up a Nigeria branch office in Lagos. 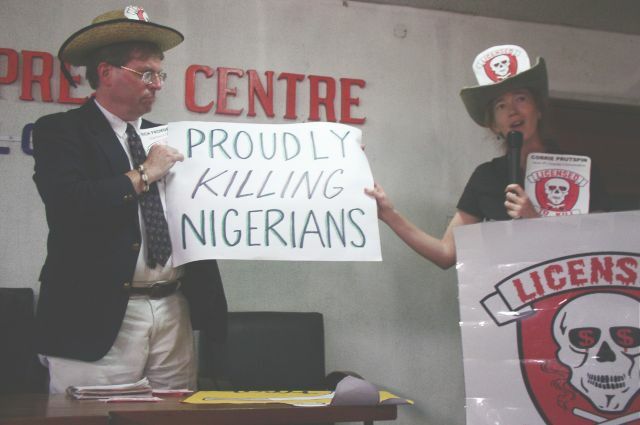 The corporations's chief competitor in the country is British American Tobacco (BAT), which claims to be "Proudly Nigerian" (according to the company's public relations campaign which seeks to portray BAT as firmly rooted in Nigerian society). 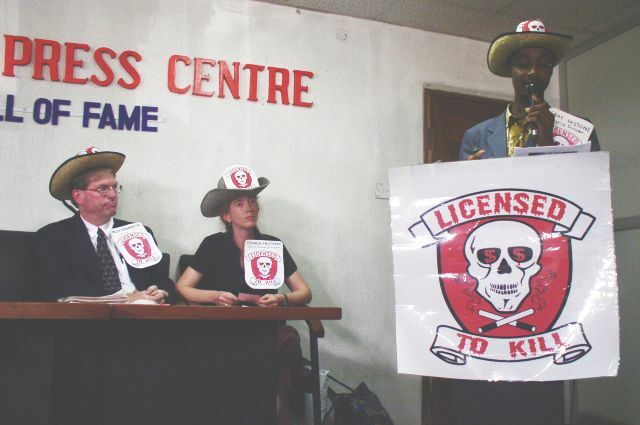 The Senior VP informed assembled journalists that Licensed to Kill is seeking tax breaks from the Nigerian government to build a new factory outside Lagos -- just as BAT received for building a factory in Ibadan. 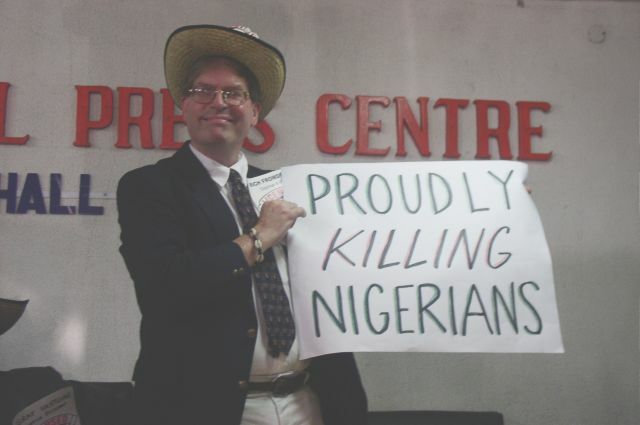 "Our products may eventually kill 100,000's of Nigerians," said Prutspin, "but isn't this is a small price to pay for the creation of 1,000 new jobs?" 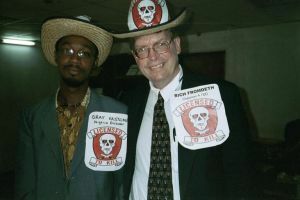 Nigerian and U.S. 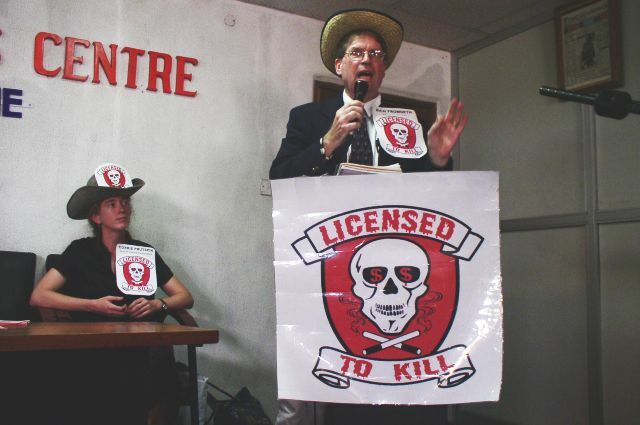 Licensed to Kill Execs: Solidarity across borders in selling death! 1) Do you have a factory that actually manufactures cigarettes? 2) Your company is unique. How successful is it? What is the level of reception? 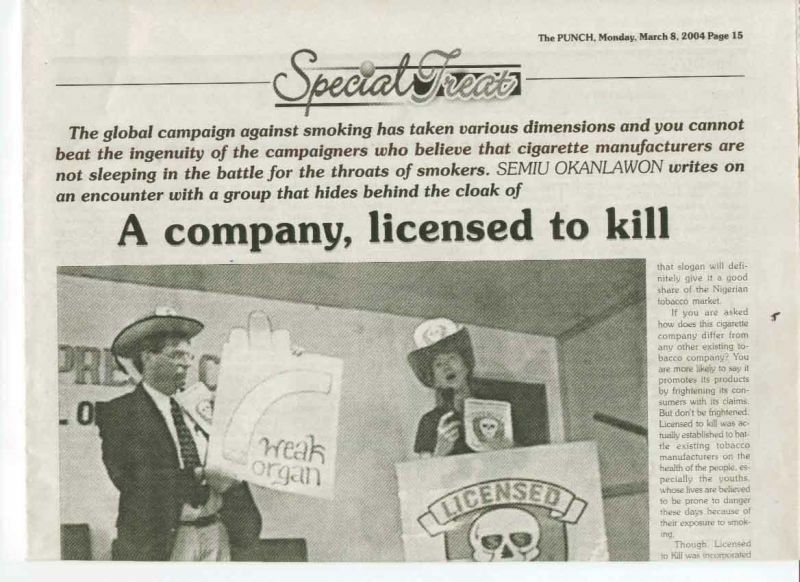 3) If your company knows that tobacco kills, what is the moral value behind your business? 4) Do you really have such a brand? 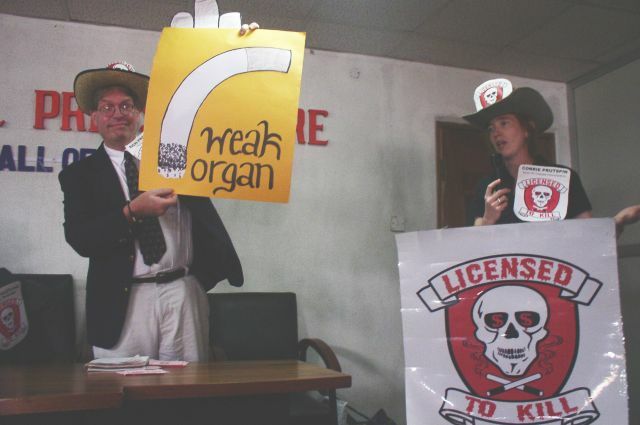 And does your company have a conscience? 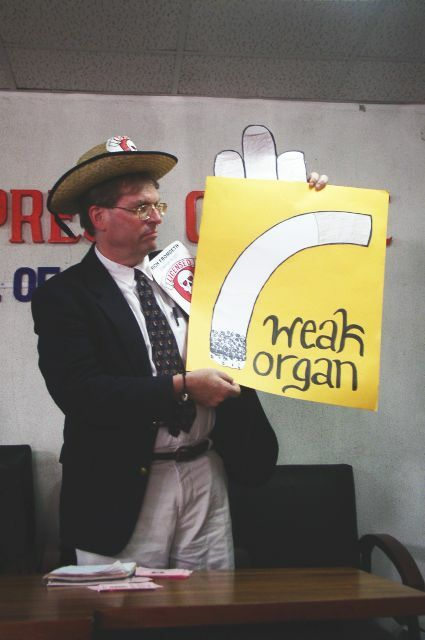 The Senior VP responded by saying that tobacco is a legal product and that it is the company's right, in a global free market economy, to sell death if it wants to. The company is simply not doing anything wrong. 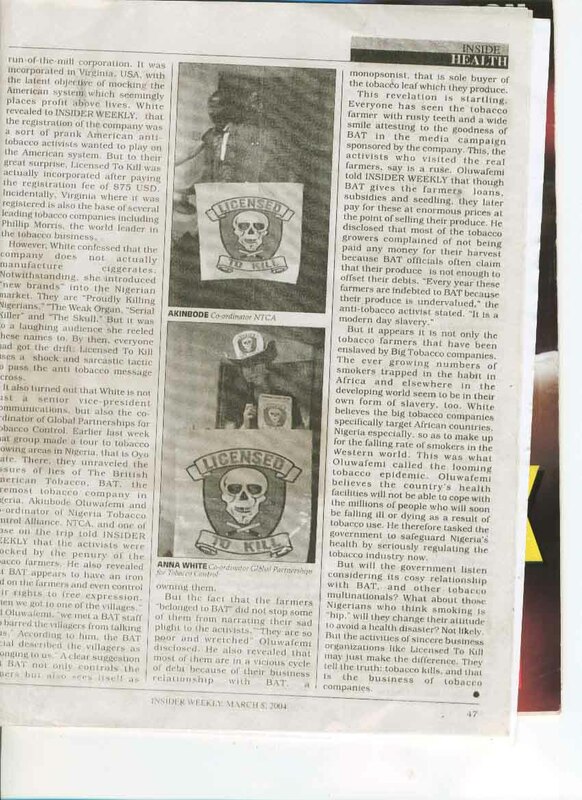 conference sparked numerous newspaper and magazine articles. could be a tobacco company that actually tells the truth!